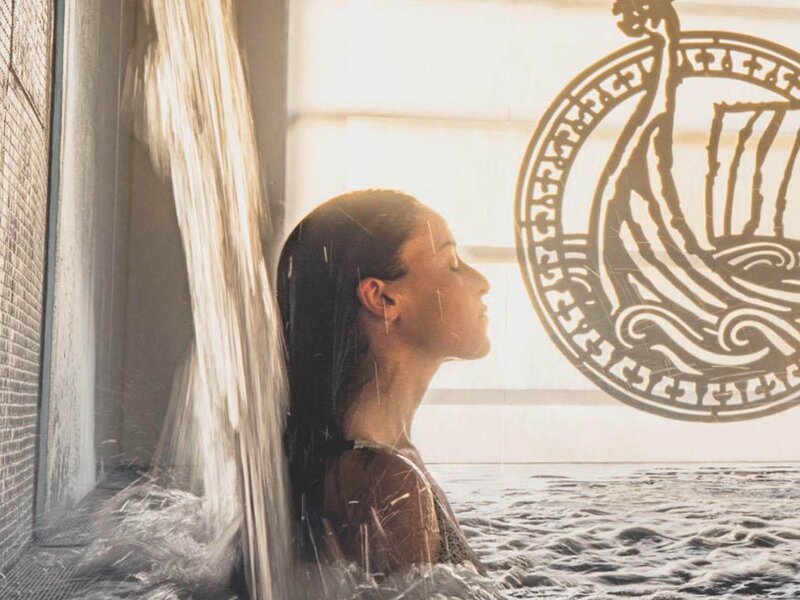 After a long day of travel or meetings, there's no reward like relaxing here ! 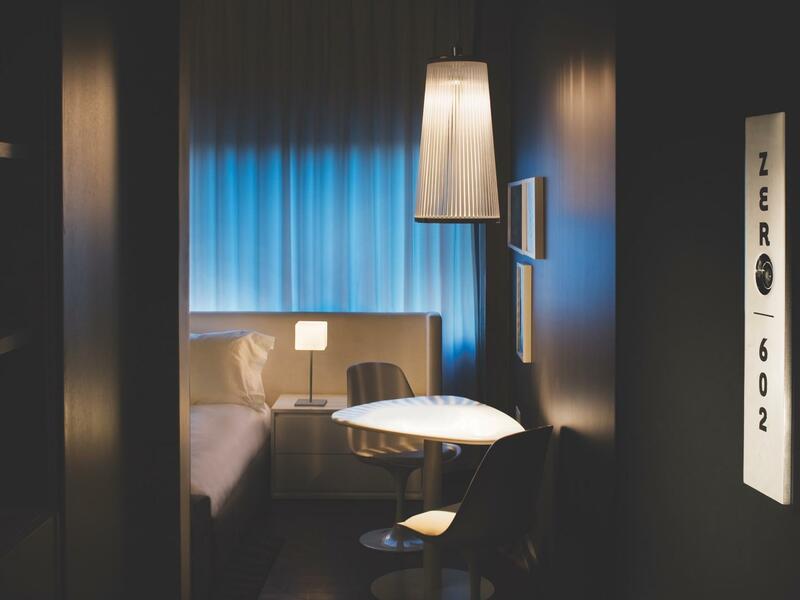 Our unique hotel has mastered the art of combining bold design with modern comfort. 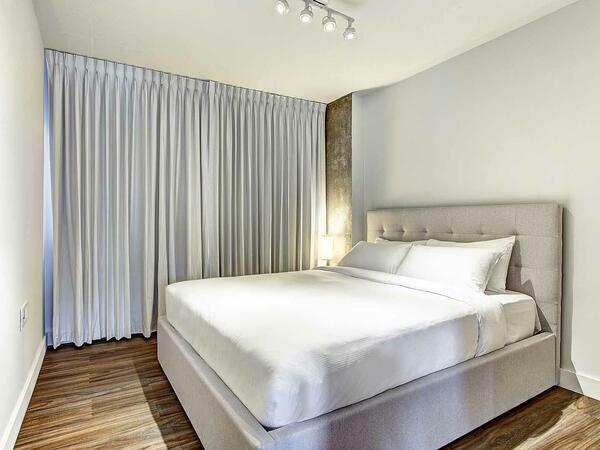 Each of Hotel ZERO1’s 165 guestrooms and suites includes a flat-screen TV, plush pillow-top bed, kitchenette and lovely views of the surrounding city. Complimentary Wi-Fi and sleek worktables also make it easy to stay connected and productive throughout your stay. 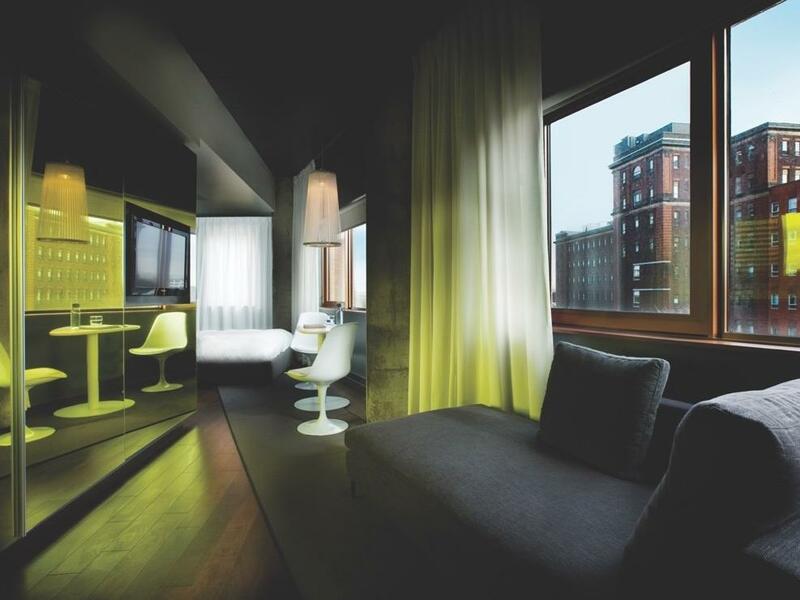 Premier amenities like a delightful tapas restaurant, on-site fitness center and panoramic outdoor terrace make Hotel ZERO1 an unbeatable value in the heart of Montréal. Start planning your stay today. Unique ambience. Zero compromise. 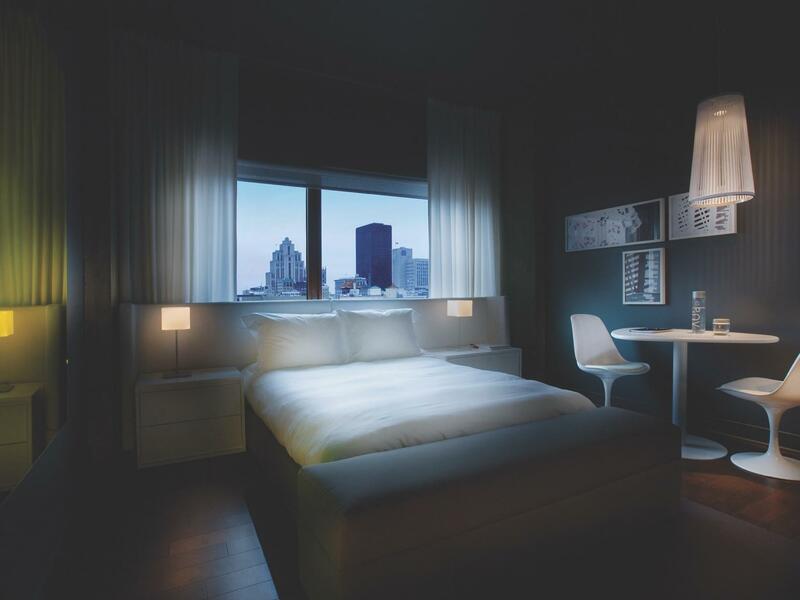 Hotel ZERO1. 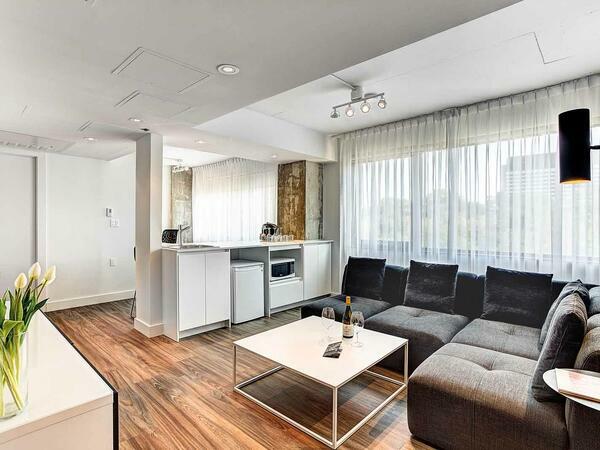 This outstanding and unique Executive Suite offers 600 square feet of living space with 2 private bedrooms, in a completely renovated unit. Bright and very cozy atmosphere. Great open space with 4 stools overlooking the living area and a small space for work. Perfect for a family of 4 or 2 couples enjoying a week-end getaway in the city. Direct access through the Hotel lobby, this modern restaurant serves American continental breakfast and Latin-American inspired tapas for dinner. Z Tapas Lounge is open from 7:00 a.m. until 10:00 a.m. on weekdays for breakfast and from 8:00 a.m. until 11:00 a.m. on weekends. We open for dinner at 4:30 p.m. every day until 10:00 p.m. Room service is also available from 5:00 p.m. until 9:00 p.m. Please note that the restaurant is closed for lunch every day of the week.